Working from home requires a new mindset and a good system, not just a nicer pair of pants (but put those on, too). Despite all the stories you’ve heard, the hardest part of working from home isn’t putting on pants every day. 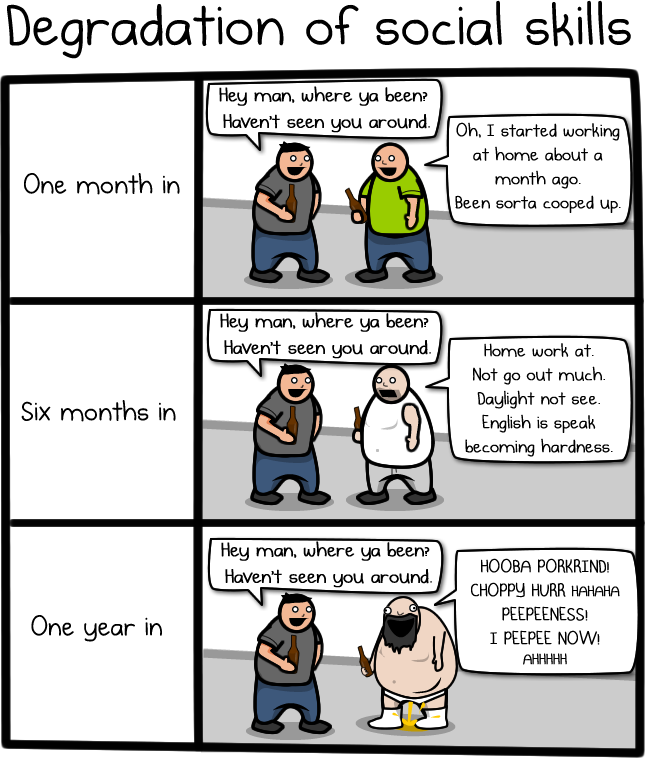 I’ve been working from home, a few different homes, since late 2007. And the biggest thing I’ve learned during those four years is that working from home doesn’t have to change how you get work done, but it does change nearly everything else about your gig. When there are hard, regular deadlines and a constant flow of work, it is just like being at an office–with the added advantage that nobody else is there to interrupt my train of thought with an impromptu visit. And then there were times when I nearly broke down and told the boss the truth about why that weeklong project was in such sad shape: Because just when I need to focus it becomes clear that there are a lot of interesting links to look at on the Internet. Like this one. 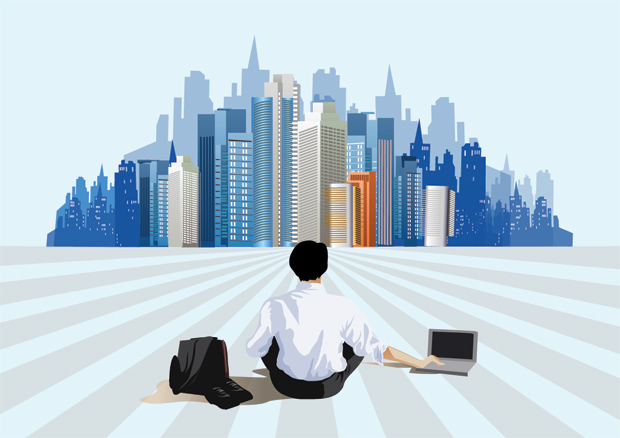 I’m far from the only person to have confronted the joys and challenges of telecommuting. So I asked a few productive work-from-homers what they would do differently, if they could go back in time and reboot their office. Here’s a bit of home-working hindsight that might help you out the next time you’re going to work from home, whether it’s for a day or a career. It’s one of far too many great quotes from Proposition Joe in The Wire, and great advice for getting more done at home. Dressing for work and “arriving” on time, eating lunch on a rigid schedule, shaving, brushing, and so on seems pointless at first. But not doing these basic preparations is the start of a steep, Teflon-coated slope to all kinds of other transgressions. If you’re not dressed well enough to greet the UPS delivery person, you’re giving yourself license to hide. If you’re hiding, then you imagine nobody can see Netflix open on your second monitor. On and on it goes, until you spend a two-hour lunch watching Portlandia on your couch with your iPad, grabbing your way through a bag of kettle chips. After that you’ll try and fake your way through an afternoon of self-loathing busywork. It’s not clever psychological trickery. It’s having respect for the work you do, wherever you do it. John Herrman, tech writer and assistant editor at Popular Mechanics, suggested in a Twitter chat that it’s almost like treating your working self’s worst tendencies like a prisoner of war, or maybe someone suffering from grief: Keeping up rituals, routines, and appearances is how you train yourself to do your work when you’re supposed to, and set aside the fun stuff for after hours. When you’re in an office, you’ll occasionally wish for fewer distractions, more privacy, and for Todd in acquisitions to find a job somewhere else. When you’ve been working from home at a frantic clip, you’ll start to realize how much you miss talking to somebody other than your dog, having a good excuse to get up from your desk, and sharing in the struggle of other workers with intolerable bosses. And you start to fear you’re heading toward the social condition depicted by The Oatmeal. So schedule some regular out-of-home social times. When those sometimes fall through, you’ll realize the value of “batching” your online social time. It’s very tempting to keep a Twitter, Facebook, and Google+ tab open at all times, along with Reddit, Hacker News, and other forums and fast-moving link-based sites. When they’re always open, they’re the equivalent of distracting coworkers, constantly shifting your attention away to complaints, jokes, gossip, and “Did you see…” discussions–the kind of stuff that makes it hard to get work done at work. You also come to appreciate them less, and they become more of a utility. As geeky as it sounds, then, put your two or three “social breaks” right on your daily agenda or calendar. Don’t open social or addictive news sites until that time. Breaking the habit will be hard at first, so try a tool like RescueTime to literally block yourself from your impulses and enforce your segmented work and play times. Distractions, temptations, and kids can all legitimately get in the way of doing work at home. But sometimes you have to step back and look at other reasons why you’re avoiding the work that needs doing. Is it really because you don’t want to do it? This is perhaps the hardest part of working from home. At an office, you are very likely to be found out and penalized if you spend all day checking Facebook or replaying Portal 2, so you at least make a stab at moving forward on even the most painful tasks. At home, it’s up to you to stay motivated, and the things toward the very bottom of the Awesome Challenging Fun list might never get done. The only real solution is summed up by designer and iOS developer Neven Mrgan: “Wake up unable to stop thinking about the awesome thing you’re working on.” If you lack for an awesome project, or a sense of where the work in front of you is going to take you, that’s probably the reason you’ll do anything other than what you have to do. Luckily, you can think that through and plan your next move anywhere, whether at home, in the office, or in line at the grocery store. Kevin Purdy is one of the “most-read” authors on the web, according to Read It Later. You can read more of his Work Smart posts here.